Each year, usually during winter semester, Grand Valley State University sets its budget for the succeeding year. The university’s student senate then budgets and allocates this money to various campus programs, organizations and more. Several changes have been made to the Student Life Fund, the system to request funding, and how the budget will be disbursed among group members that the student life team is excited to include in this upcoming school year. The Student Life Fund gives funding to registered student organizations, student media, spotlight productions, club sports and many other parts of campus. The student senate finance committee works to meet with these groups to better understand their needs financially. Senate also allows for registered groups to request funding for events, trips and more from the budget. Student life finance assistant Carly Aller said that the finance committee has noticed an annual increase in travel requests for organizations and, in turn, the travel budget has grown steadily each year. The travel fund for the 2018 to 2019 school year is now 85,300 dollars; a 42 percent increase since the 2015 to 2016 year. The way in which group travel is funded has also been altered. Taking a more individualized approach, each student will be responsible for submitting their own funding application rather than relying on one application for an entire group. “This will ensure efficiency and accountability,” Aller said. This will also help student senate and the Office of Student Life see the actual impact the travel funding can make on individual students. Annually there are 100 to 200 travel requests, however this number only identified the organization as the request and not each student partaking in a trip. Now requests will reflect each student rather than the group they belong to. “The fund is to benefit as many students as possible,” Aller said. Trips must be considered academic and related to the mission of the registered organization to be approved for funding. This includes domestic travel to professional events, conferences, competitions and other educational trips. While the travel fund is not meant to cover an entire trip, there is now a cap of 500 dollars per person to use toward an approved trip. Grand Valley’s student senate finance committee did their research to see how other universities handle their travel funding. Their findings showed that among 30 different schools, including all universities in Michigan, most do not have the same sort of support for student travel. “Grand Valley is one of the only schools that funds travel at all,” Aller said. A new student organization support page has been added to the Grand Valley website so all information for registered groups can now be found in one place. 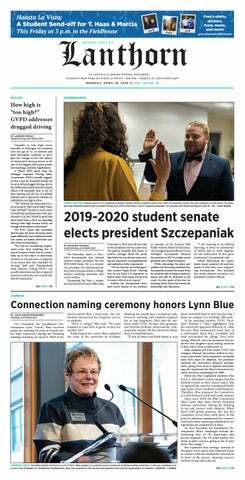 This ‘one stop shop’ includes a LakerLink tutorial, links to various applications, funding guidelines, budget breakdowns and minutes from student senate deliberations and meetings. In order to educate student organizations across campus about these new changes, the Office of Student Life is holding a resource program called “Ignite”. The program will cover funding, LakerLink, new policies and procedures as well as other information regarding student organizations. The Ignite event will take place Sept. 4 from 2 p.m. to 4 p.m. in the Grand River Room. The Office of Student Life also offers open advising from 1 p.m. to 4 p.m. Monday through Friday during the school year for students to come in and discuss anything student org related. “We want to set students up for success,” Aller said.